The endorsements came as a part of the new TurnOUT Charlotte! campaign, launched by the Mecklenburg LGBT Political Action Committee (MeckPAC), Equality North Carolina and the Human Rights Campaign. The three groups say they want to turnout a “critical mass” of voters and are looking to elect a solid pro-LGBT equality majority on City Council. The campaign comes after the defeat in March of a suite of LGBT-inclusive non-discrimination ordinance updates. 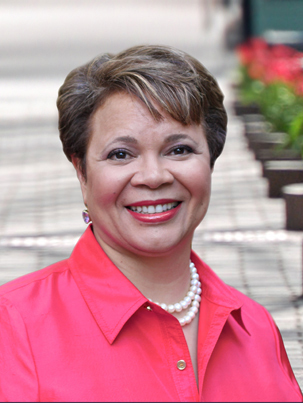 Among the slate of candidates endorsed was incumbent at-large Councilmember Vi Lyles. That’s rubbed some community members the wrong way, considering Lyles was the one who offered an amended ordinance version that stripped out protections for transgender residents. The compromise proposal, seconded by openly gay Councilmember Al Austin, came after a supposed lost vote on Council. Councilmember Claire Fallon has been accused of switching her vote and dropping her support of the fully comprehensive package — thus opening the door for an amended proposal — though Fallon has denied that’s true. Dula and Barbara Green, an ally and community leader, both said they’re not sure they can trust Lyles’ assertions she’ll be a champion for a fully-inclusive ordinance if it comes back to Council — a promise she’s made to LGBT groups and repeated publicly at a candidate forum earlier in August. Those close to the earlier ordinance effort have said they didn’t want the amended version. Some Council leaders at the time, however, said the amended version was a way to salvage the ordinance work and, at the very least, move forward with some protections instead of none. Green rejects that an incremental approach was a viable option. Scott Bishop, chair of MeckPAC, said in a written statement also posted to Facebook that leaders, including Lyles, now reject that method. Bishop also said Lyles and other similar candidates with long records of public service were essential choices in the endorsement process. Bishop and MeckPAC are standing firmly by their slate of candidates. “We are urging our community to focus their votes on a slate of candidates that we feel stand the best chance of being elected in a few weeks AND who also have committed publicly to a fully inclusive non-discrimination ordinance,” Bishop said. Green and Dula said they’re mostly supportive of the rest of the endorsed slate. Green said she’ll support Council candidate Mo Idlibby over Lyles. She’s also a supporter of Jennifer Roberts for mayor. One of the groups, MeckPAC, has endorsed incumbent Dan Clodfelter in the Democratic mayoral primary. Jamie Hildreth, vice chair of MeckPAC, said Thursday that endorsements — based on their questionnaires and interviews with candidates — hinged primarily on whether a candidate supported the full, comprehensive non-discrimination ordinance and whether they would work to champion the issue. Each of their endorsed candidates made that pledge. Most of the Council’s members did end up supporting the amended version of the ordinances presented to them on March 2. The amended version passed 9-2, with Democrats John Autry and LaWana Mayfield voting against it. In the final vote, Autry and Mayfield again voted against the compromise version, along with Republicans Ed Driggs and Kenny Smith and Democrat Michael Barnes. The ordinance’s final defeating vote came in at 6-5. I am one who does not support Vy Liles. History speaks applies itself here. As a member of the trans community, I can not let that history go by and. It have it count. She was willing to throw me away before, and given the history, I can’t trust her. She lost my community’s trust an s that take more than words to win back. I suspect many others in my community feel the same way. We have learned not to trust through many pain filled lessons. She says she changed, prove it.